Archaeologists working within the commercial sector have often had an uneasy relationship with metal detectors: most of us can recall situations (or anecdotal evidence from colleagues) where sites have been invaded by nighthawks and archaeology compromised as a result. However when used correctly and under archaeological supervision they can be tools that greatly enhance results from excavations and we should be embracing their use on our projects. Most commercial archaeological organisations will have metal detectors in their tool stores which are used with varying degrees of success on many projects. Even the simplest devices require an amount of training and experience to achieve any success. Project Designs will often stipulate that the spoil from excavations should be scanned by a metal detector or that an initial scan be carried out to determine the potential for further detecting. This is more common on rural sites but the urban environment can also offer great potential, in particular waterlogged deposits. On our Walbrook sites, and many others, we utilise the skill and knowledge of experienced metal detectorists who are licensed Thames Mudlarks. This expertise has proved invaluable on many projects, particularly recently when digging through the thick dark Walbrook river clay. A lot of the time it is impossible to spot small finds, as they are absolutely covered in clay! The detector is used to scan the spoil directly after it has been excavated, (before it became contaminated by other spoil) and each artefact found is bagged with its context number, thereby ensuring the integrity of provenance of the artefact is not lost. 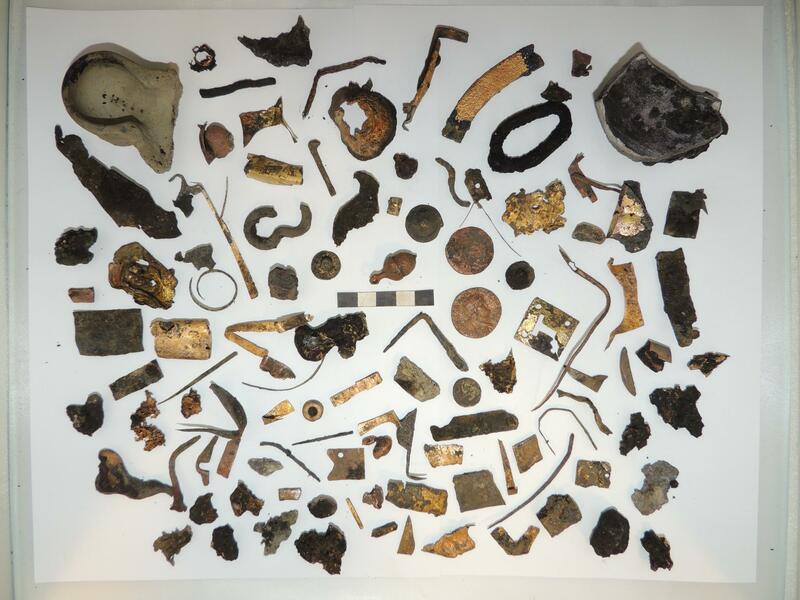 In addition, these finds are labelled ‘MD’ to enable the finds specialists to incorporate the recovery method in their analysis: if some deposits are fully scanned they may have a higher number of finds recovered, which does not necessarily mean they were originally richer in metal finds. A collection of (very muddy) finds. All from one context and all found by metal detecting! The detectorists have helped to unearth a wealth of objects from various contexts, including coins, brooches, brooch chains, keys, amulets, nails, mounts, rings, figurines, and earrings. 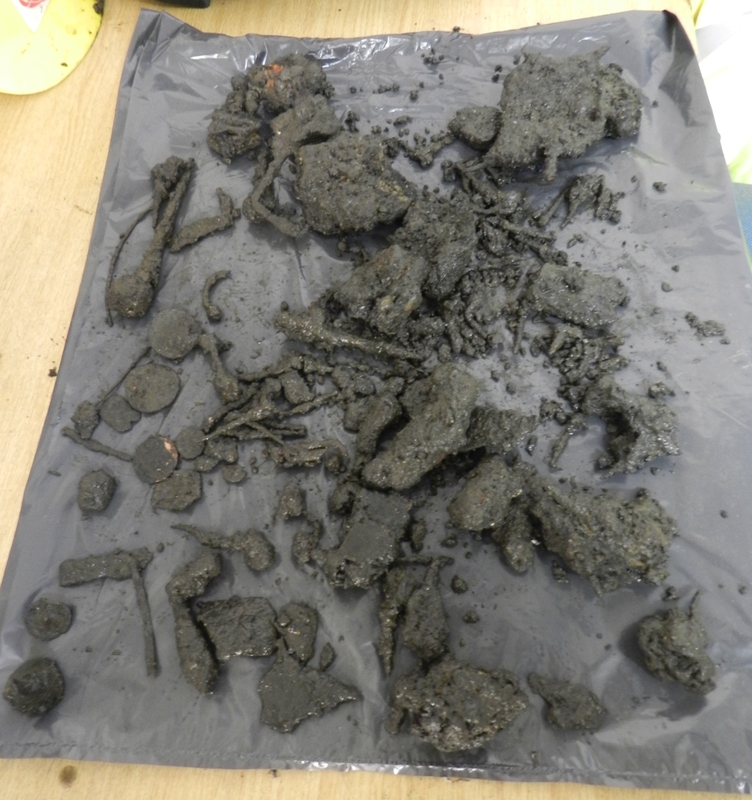 They have even spotted a few non-metal finds as they inspected the spoil, including small fragments of writing tablet. 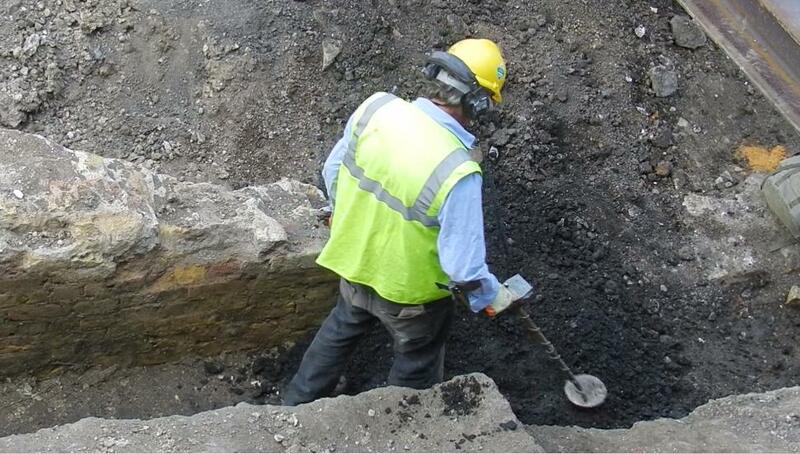 The metal detectorists have also trained a number of our archaeologists to successfully use the metal detectors. We would like to thank our friendly Mudlarks! They are volunteers after all, and kindly give up their own time to help out.